Sign up here to receive the High Brix Gardens newsletter and updates, and get a free bonus! Visit our online store to purchase refractometers, conductivity/TDS meters, DVD courses and register for events. See What You Look At! Brix is a Term Popularized by Carey Reams. When used on plant sap it is primarily a measure of the carbohydrate level in plant juices. 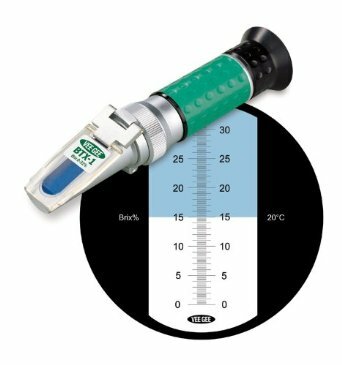 The instrument used to obtain a brix reading is the refractometer. Refractometers come in two basic styles, optical and digital. Both types work great. Here is how a refractometer is used: squeeze out some sap from a plant, put 2 drops of the juice on the prism, close the prism cover, point to a light source, focus the eye piece, and read the measurement. The brix reading is indicated where the light and dark fields intersect. What part of the plant is used for taking a brix reading? Whatever part you eat if it is ripe. If it is not ripe take the most recent mature leaves that have had full sunlight for at least 2 hours. Ideally measurements should be taken at the same time of day as you compare throughout the growing season. A refractometer measures the amount of bend or refraction in the rays of light as they pass through the plant sap. This is why a brix chart is more properly called a Refractive Index of Crop Juices. to download the Brix Chart as a PDF. What causes light to refract as it passes through plant sap? The amount of carbohydrates in the juice. The amount of dissolved minerals in the plant sap. The amount of covalent bonding. What proof can be offered to show that higher brix readings equal higher quality? Carbohydrates are the fuel the body uses for basic metabolic function. This has tremendous implications on digestion and human health. This is covered more fully in Food Quality & Digestion. All disease is the result of a mineral deficiency. This rule clearly shows why it is so important to eat foods with high mineral density. One of the most important nutrients that increases with high brix readings is calcium. According to Dr. Reams calcium levels in produce rise and fall proportionately with the brix levels. This has been independently confirmed by Bob Pike in his research on tissue testing. Disorders and degenerative diseases resulting from a calcium deficiency could fill several books. In addition to increased calcium levels, high brix foods also supply more trace minerals such as copper, iron, and manganese. Trace minerals function as co-enzymes in the digestive process. Co-enzymes work with enzymes as activators of those enzymes. These trace minerals have higher atomic weights. Due to greater mineral density and the inclusion of heavier trace minerals high brix foods weigh more per unit than lower quality produce. Minerals in foods are in a naturally chelated form. Naturally chelated minerals are bound to amino acids that have a left-hand spin. Amino acids with a left-hand spin are referred to as L-Amino acids. L-Amino acids are biologically active. This translates into easy assimilation into the body compared to inorganic minerals taken in pill form. Amino acids that have been compounded by man have a right-hand spin, which is known as D-Amino acids, or they are a mixture of the L and D form of amino acids. The D form is not biologically active and is rarely found in nature. Why won’t little Johnny eat his peas? They taste terrible. Little Johnny instinctively knows that sweet tasting peas are better while poor-quality peas are instantly rejected. Have you ever eaten a 22 brix grape? Once you have you won’t forget the taste. A candy bar will be held in disdain by little Jane compared to 22 brix grapes. 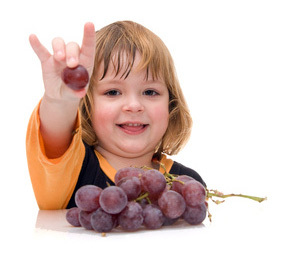 Ask any old-timer if they like the taste of fruits and vegetables now compared to when they were young. I am sure you won’t be able to find a single person that feels today’s are better. Taste is built upon the upon the carbohydrate and mineral levels in the produce. When they decline so does the taste. What about aroma? That seems lost as well. Todays average 2-3 brix hydroponic greenhouse tomato looks like a tomato but it has virtually no aroma and is nearly tasteless. It is a poor caricature of what a tomato should be. As a culture Americans are so used to eating low quality produce we don’t even know what really good produce tastes like. Insects and disease are the symptoms of a failing crop, not the cause of it. It’s not the overpowering invader we must fear but the weakened condition of the victim. Animals have a greater sense of instinct than does mankind. Their instinct for survival can be seen in the multitude of stories arising from the recent tsunami. Wild animals were not caught by surprise—they had fled for higher ground hours before the waves hit the shores. This same level of instinct carries over to their choice of foods. The foods of highest mineral density and health are preferred over poorer quality. Here is something to ponder over. Wild deer will not graze genetically modified corn stalks unless close to starving. This is why conservationists who are planting corn specifically for the deer population will avoid planting genetically modified corn. Production agriculture has found that it takes twice as many acres of genetically modified cornstalks to get the same amount of weight gain on cattle as compared to conventional non-GMO corn varieties. Here is an easy experiment to prove this point. Buy whole field corn sold in the birdseed section of your local supermarket and some popcorn. Whole field corn will weigh somewhere around 55 lbs. per bushel while the popcorn will be around 66-68 lbs. per bushel. 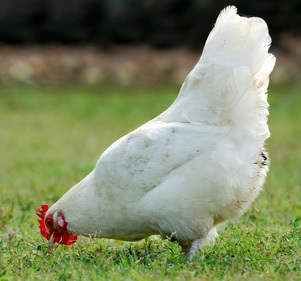 Offer both corn samples to some chickens that are not overly hungry and see which corn they eat first. They first go after the popcorn with great enthusiasm and then the field corn with less enthusiasm. Why? Popcorn has greater mineral density as indicated by test weight. Cattle have the same instinct. They will always prefer the forage with the higher sugar content. This has been proven many times by seeing which hay cattle eat first when offered a choice. The use of (pesticide) sprays is an act of desperation in a dying agriculture. The good news is that more and more people are demanding higher-quality food and numerous farmers are getting off the pesticide/GMO/low-brix merry-go-round and beginning to produce food that can have a tremendous impact on improving our health and nutrition—and it all starts with our digestive system. A 2-Day "Hands On" Garden Workshop focusing on growing nutrient dense foods. 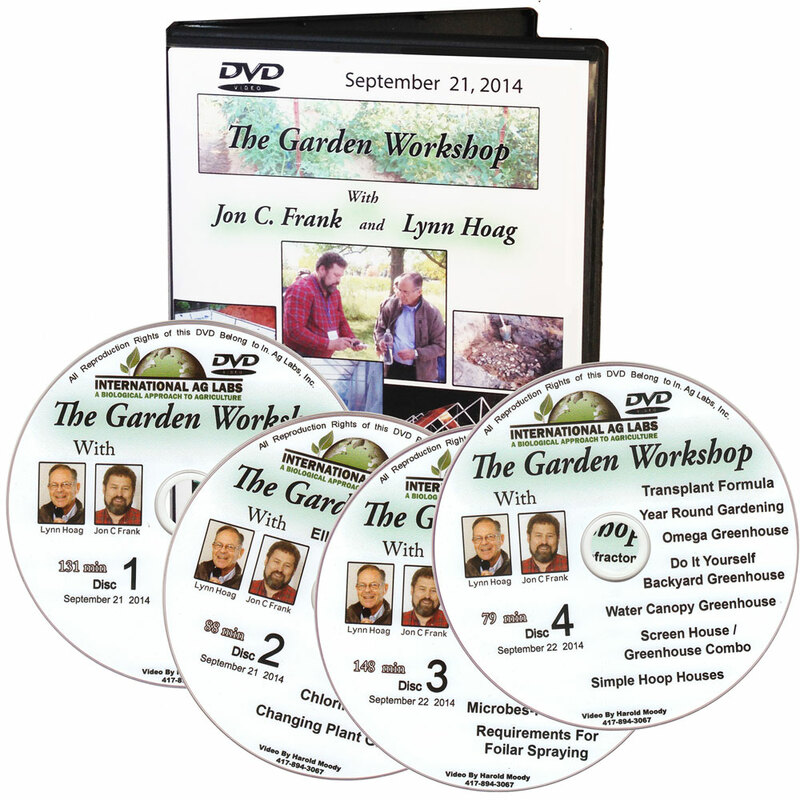 Jon Frank co-teaches with Lynn Hoag (Sun Country Gardens Master Gardener). If you're interested in purchasing High Brix Gardens products, please contact one of our dealers nearest you and order directly. 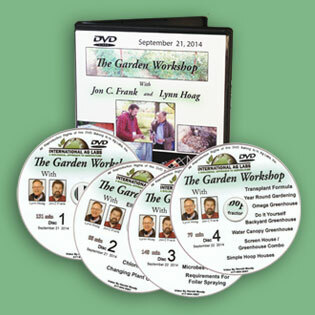 Downloads are available of mp3 recordings & transcripts of past teleseminars. We'll be adding new downloads on a regular basis. Download the High Brix Chart originally developed by Dr. Carey Reams. Copyright © 2005-2018 High Brix Gardens. All Rights Reserved.